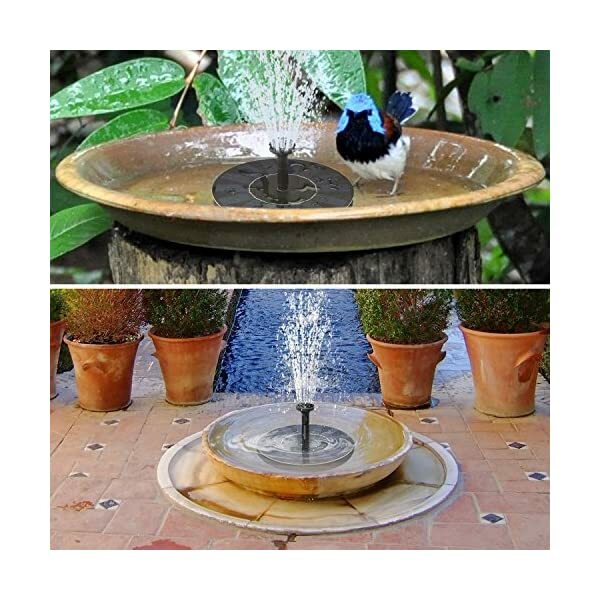 EMBELLISH WITH A WATER FOUNTAIN – Add a surprise to your bird bath, patio or pool with this portable Floating Solar Powered Bird Bath Fountain Pump, Portable Outdoor Water Fountain Pump Kit for Garden, Aquarium and Pool Outdoor Decoration without the expensive tag. Attract more birds in your garden to give a natural and relaxing ambiance in your home. 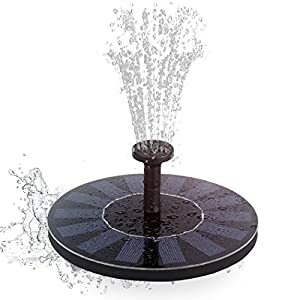 ECO-FRIENDLY OUTDOOR TOOL – No need for electrical wirings and battery replacements, this outdoor fountain is solar-powered giving you undaunted performance with hassle-free installation and practicable benefits. By simply placing it outside to catch sun rays, it converts sunlight at daytime allowing it to pump water up giving a relaxing visual effect. 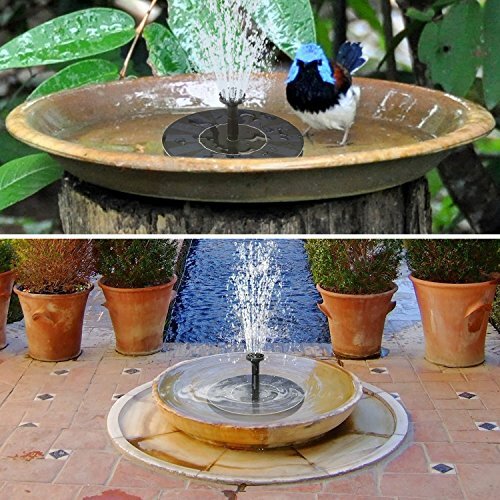 VERSATILE DÉCOR – Aside from adding a new attraction on your bird bath, pool, aquarium, mini pond, this self-powered fountain helps to circulate oxygen in water allowing birds and fishes attracted to it. Fully powered by the sun, this fountain pump runs automatically, is eco-friendly and efficient. It is equipped with different nozzle spray designs to create enticing water effects. Having a new and simple addition in your existing bird bath, mini pond or pool wouldn’t hurt especially if that addition is completely maintenance-free and will not add on your electric bill. Unlike other decorative fountain, our solar-powered fountain pump powers itself by harnessing energy from the sun and using it to pump up delightful water effects in your garden. 1. Keep in mind that to supply a sufficient amount of water in the fountain, especially on sunny days. 2. Ensure the pump is all the time below the surface of the water. 3. Keep the surface of solar panel clean. 4. The pump will without end work only when there is sufficient sunlight. 6. Peel off the plastic film protector before using for the first time. 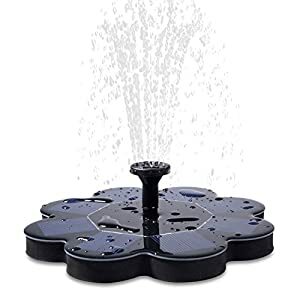 EMBELLISH WITH A WATER FOUNTAIN – Add a surprise to your bird bath, patio or pool with this portable Floating Solar Powered Bird Bath Fountain Pump, Portable Outdoor Water Fountain Pump Kit for Garden, Aquarium and Pool Outdoor Decoration without the expensive tag. Attract more birds in your garden to give a natural and relaxing ambiance in your house. 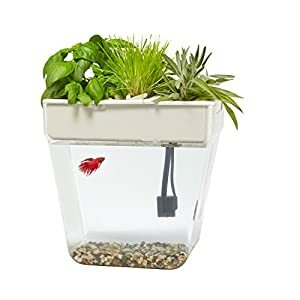 VERSATILE DÉCOR – Apart from adding a new attraction on your bird bath, pool, aquarium, mini pond, this self-powered fountain helps to circulate oxygen in water allowing birds and fishes attracted to it. Fully powered by the sun, this fountain pump runs automatically, is eco-friendly and efficient. It is equipped with different nozzle spray designs to create enticing water effects. LOW-NOISE PERFORMANCE – Built with a compact body and low-noise output, this is the one-stop fountain pump for all your aquatic needs. 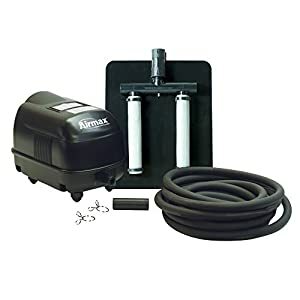 Get the most protected, reliable and affordable water fountain pump to complete your garden view and turn out to be it into a picturesque paradise to behold perfect and ready for birthday or wedding parties. SUSTAINABLE OPTION – It may be small in size but it offers high efficiency & maintenance-free performance. With low energy consumption and strong anti-jamming ability you are guaranteed the most viable choice.